Small Friendly Cafe offering informal dinning, starting early with Breakfast to Sit in or Take away, running through to Light Lunches, Fresh Soups, Freshly Baked Baguettes, Toasted Panini’s, with Tea, Coffee and tons of Sweet treats on the go all day, something for everybody. Open Monday through Saturday from 6am until 2ish. 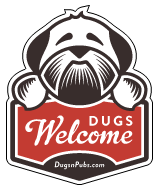 There are a total of 3 dog friendly listings in the Cumbernauld category. Please log in, or sign up as a member to view all listings.